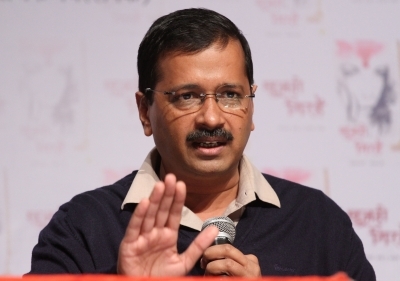 New Delhi, March 20 (IANS): Delhi Chief Minister and Aam Aadmi Party chief Arvind Kejriwal on Tuesday said the Congress has officially conveyed its "no" for an alliance in the city. Interacting with the media after a public rally in East Delhi's Laxmi Nagar, he said no talks are going on between the two parties. "As far as I know, the Congress has officially conveyed to us that there will be no alliance. We don't have to do anything with their meetings. We are not in talks with Congress. "The stories in the media about the alliance are planted by the Congress. I have no clue about it," he said. "These BJP-Congress are all one. They felt insecure from us (AAP). All they wanted was to stop me from working," he said, while citing the achievements of his government in Delhi in the past four years.